Perforated Response Cards // Many of the programs that stood out to me had perforated parts for people to tear off and respond. This is an effective way to follow up with first time guests or collect information on how people are reacting to the service. [Check out how First Christian has a "week specific" response tear off that lines up with the announcements for that weekend.] They were looking for people to volunteer with transportation and a Christmas project and had a simple check box response form to respond to those asks. Best Use of a Beard // [I love the cover of Open Door's Bulletin.] Too much fun. Contextual Contact Information // Who should your guests talk to when they need help at your church? 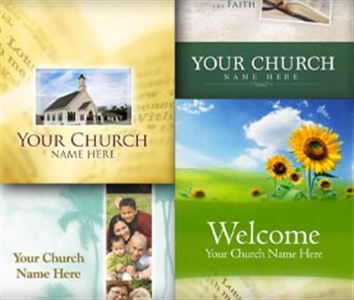 Often churches seem to make it hard to find contact information on the various key leaders that guests should connect with if they have questions. [I like how obvious Sugar Grove Church makes it to find contact information for various departments.] Help people connect with people … not departments. Give out contact information for actual people! [I love how The Meeting House provides the direct cel phone number of their campus pastor right on their program ... that campus is a few thousand people ... and you can call the Campus Pastor directly.] (Try it! Tell Matt I say hi! Courtesy Rich Birch. Visit his website, UNseminary, at www.unseminary.com. The opinions are those of the author and do not necessarily reflect the policy or position of the Florida Conference.